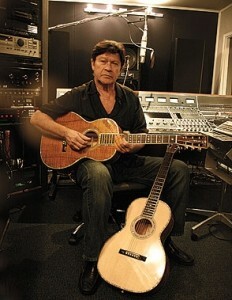 One afternoon more than a decade ago, Robbie Robertson and Eric Clapton were hanging out at Robertson’s Los Angeles studio, when Clapton spotted Robertson’s prized 1927 Martin acoustic guitar in a corner. Before long, they were trading licks. Says Robertson, “I thought, ‘Well, in case something happens, we’ll just lay this down on tape. '” READ THE WHOLE STORY HERE.